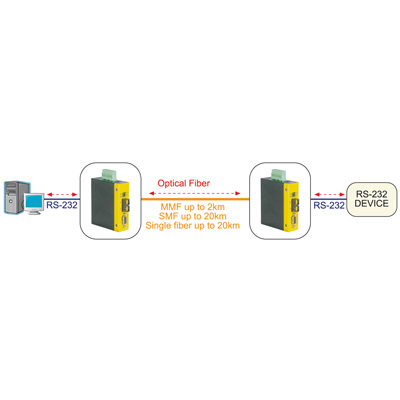 The converter is designed to provide the most versatile connection possible between 2 RS-232 serial equipment using fiber optic cable. 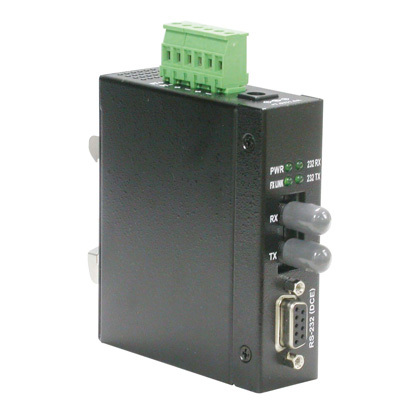 The converter supports transparent conversion for not only RS-232 data lines, but also all RS-232 control signals. It also supports all RS-232 baud rates with no need for user configuration. The Din-rail mountable design makes it ideal for industrial cabinets and enclosures. Further, more designs such as signal protection, wide operating temperature range, wide power voltage range are also provided to suit for more industrial applications.